Skating rink carpet needs to be extremely durable to stand up to the wear and tear of the skaters. 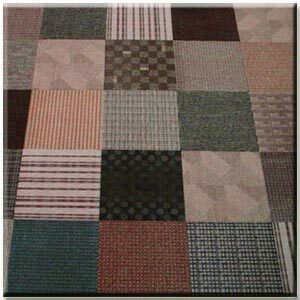 Many rinks find that Carpetile is the perfect fit. This carpet comes in one yard squares. This makes it easy to install and also easy to repair. If you have a damaged square, you just replace the one bad square. Because all skating rinks are going to have high traffic areas that wear out quicker than the low traffic areas, the ability to replace the worn areas becomes very valuable. 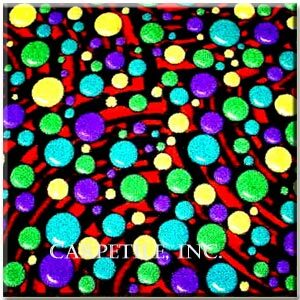 We stock two different types of Carpetile. The original type is a random pattern of carpet. Each individual square is a different color pattern. This creates a checkerboard appearance, and means you don’t have to worry about replacing faded squares with brand new squares. Because they’re all different, they don’t need to match. Because they’re remnants this option is significantly cheaper than other carpet of this quality. The other type is glow carpet. This carpet features a bright bubble pattern that glows under blacklight. This creates a real fun look in the rink that the kids are sure to love.